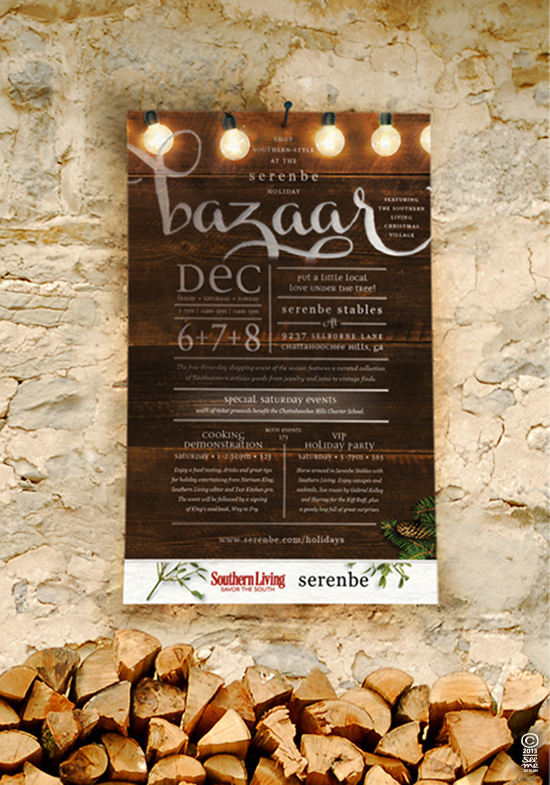 We were so honored to be a part of the 2013 Serenbe Holiday Bazaar, featuring the Southern Living Christmas Village. 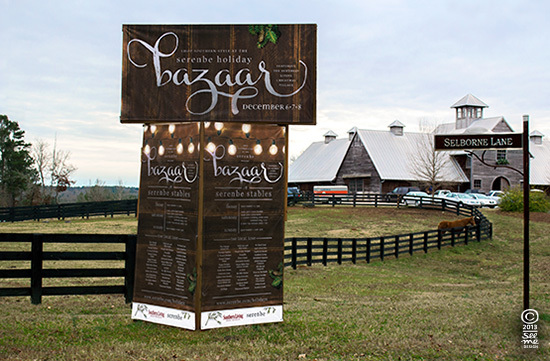 The Bazaar included curated artisan goods from all over the Southeast and a cooking demo by Southern Living editor and chef Norman King. The night ended with a VIP Party including a private show by musicians Gabriel Kelley, a previous writer for Tim McGraw’s songs, and Hooray for the Riff Raffs, one of the Alabama Shakes‘ favorite bands. 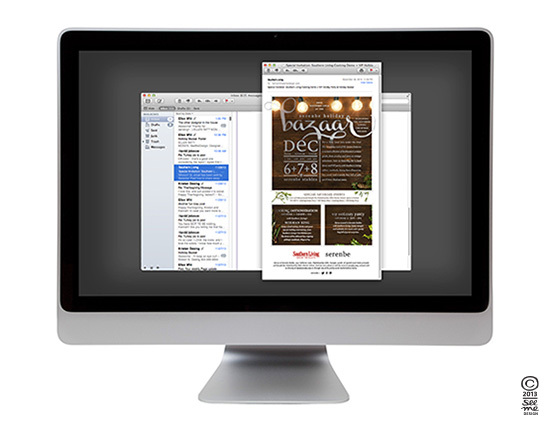 We created the overall brand for the event, including a logo, poster, billboard and email. 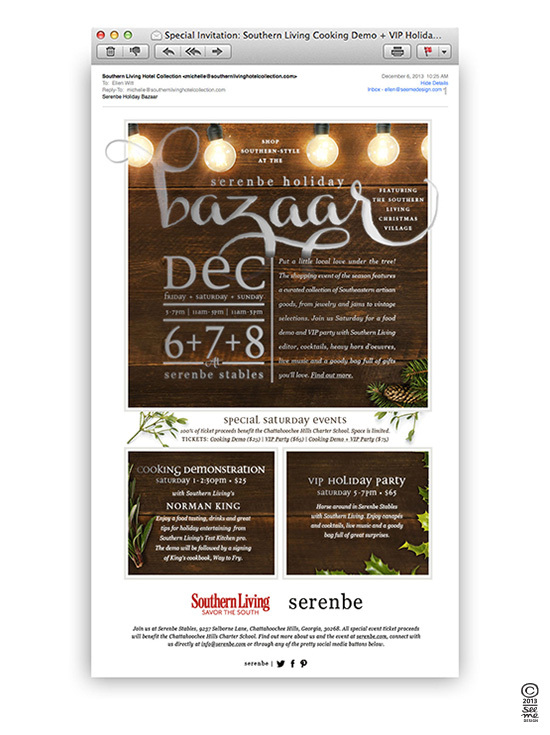 Serenbe is a community outside of Atlanta focused on sustainable living and balanced development. 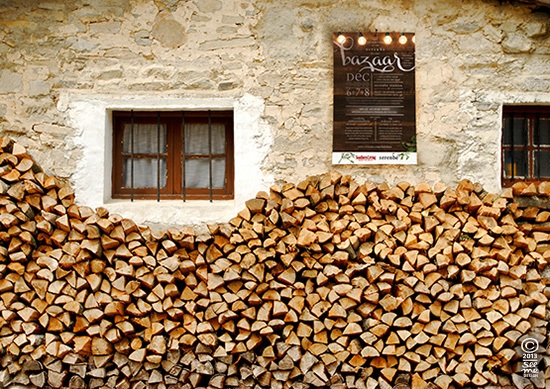 We created this hand-crafted, Southern look and feel using rustic wood and natural greenery to evoke the authentic nature and holiday charm of the event.